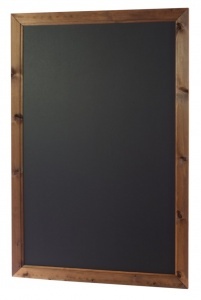 A fantastic value, timber framed wall board featuring a 3mm interior grade, moisture resistant melamine chalkboard panel. The dark oak stained frame is manufactured in the UK from American Redwood from FSC approved sustainable sources. 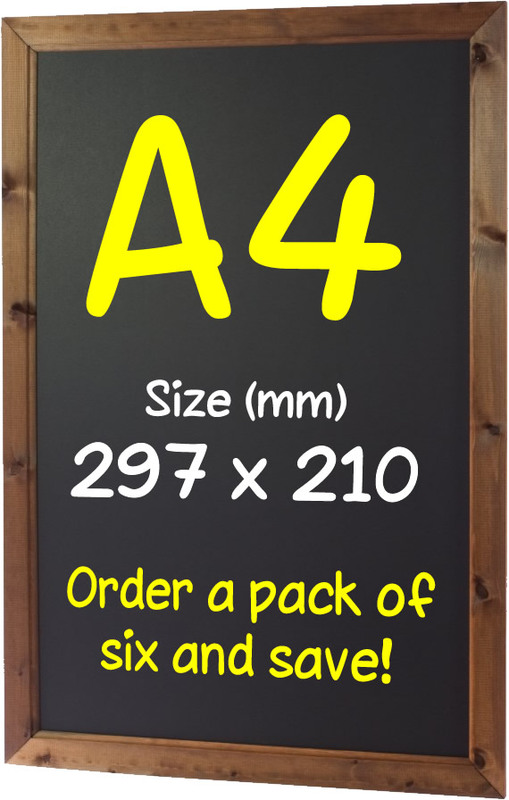 Suitable for internal use with chalk or liquid chalk pens. Printing available on request - call for quote. 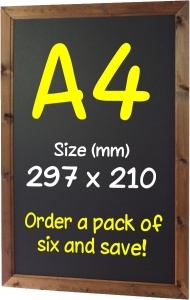 For large quantity orders or bespoke sizes please contact us for a quote.